"When is the best time to clean the grates? How do I clean the grates?" We get asked these questions a lot and I am here to tell you the incredibly simple answer. 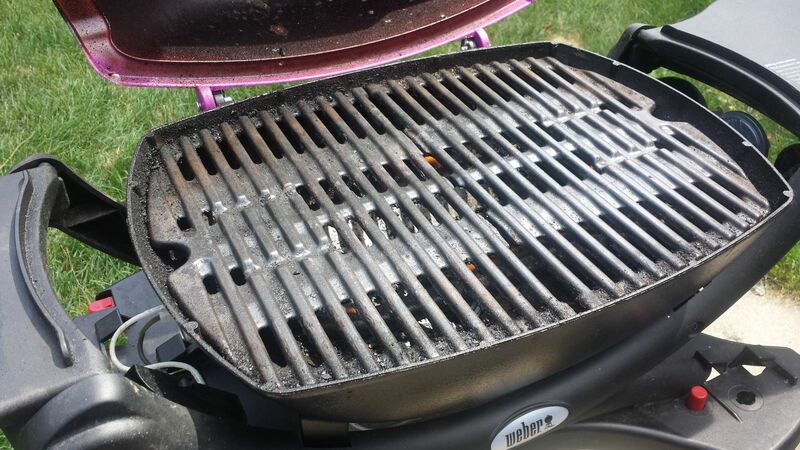 Before I started at Weber, it was a production to get the grill ready for actual grilling. The production included taking the grates to either to the sink in the basement or to the hose outside and washing them with water, scrubbing them and then patting them dry. After starting at Weber I quickly learned that there is a better and EASIER way! You will want to preheat your grill on high for 10-15 min BEFORE you grill. Here are my grates before the preheat. As you can see the last meal I grilled, French toast, is still on the grates and that is okay! 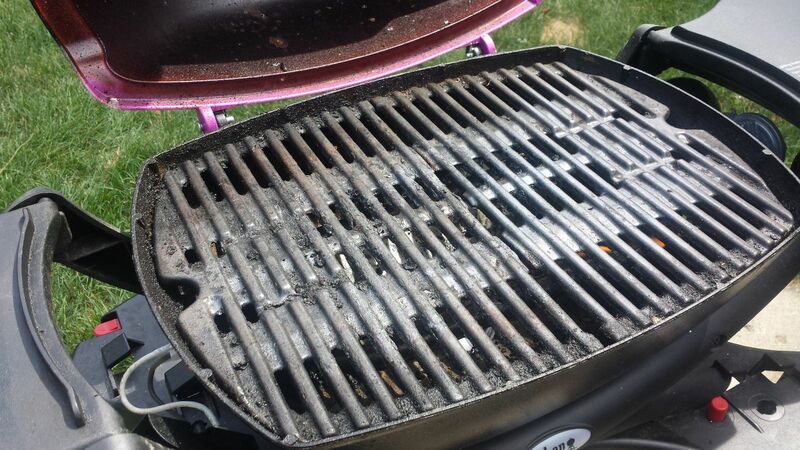 Once the grill has preheated, you will see that your grates are already a lot cleaner because the food has cooked off. 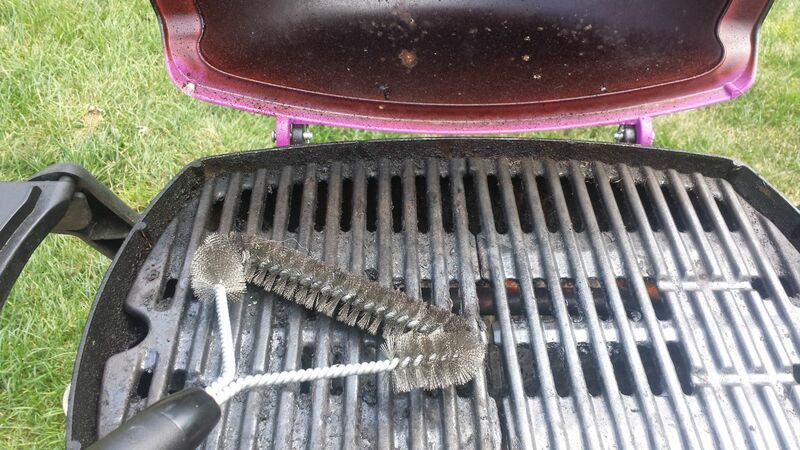 Now you will want to brush your grates clean by using your Weber stainless steel brush. We always recommend inspecting your brush on a regular basis. I replace mine every few months because I do a lot of grilling. 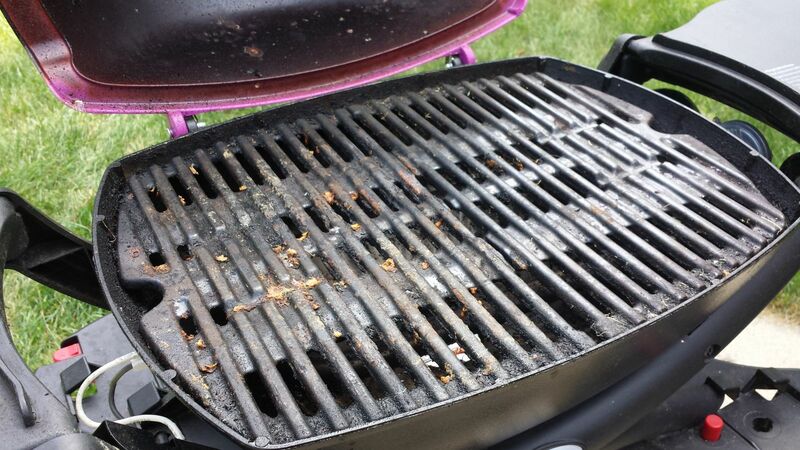 You are now ready to grill and the effort to clean your grates was minimal.